Product Description : Incredibly beautiful. The pendant set is attractive with a pair of peacocks adorning the pendant on either side. 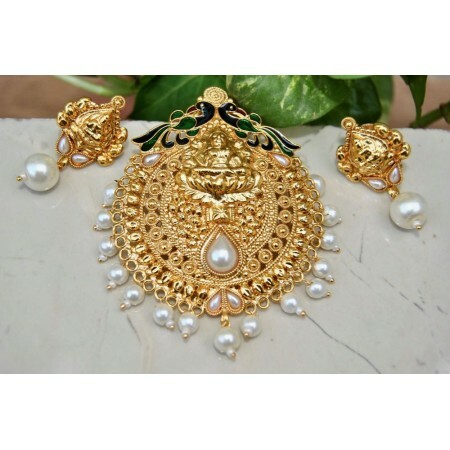 The pendant also has a engraved lakshmi goddess in the centre and lined with fresh water pearls. 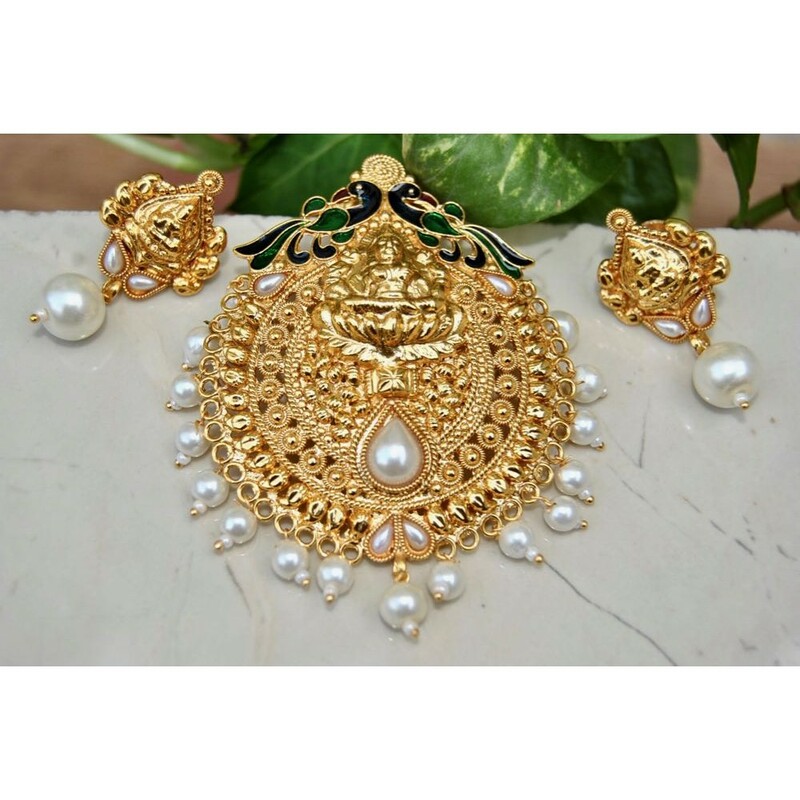 It is paired with gorgeous earrings that perfectly match the pendant design. Ethnic Indian jewellery that is lightweight and great for wearing on festive occasions and wedding functions. Pair with traditional Indian wear like sarees, salwar suits and lehengas.